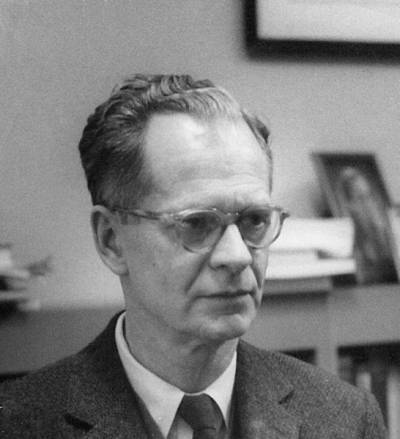 1954 - B. F. Skinner and J. G. Holland implemented Programmed Instruction Educational Model at Harvard. Check the Instructional Design Models and Theories: Programmed Instruction Educational Model article to find more. Programmed Instruction was developed by B. F. Skinner. Even though he used this model in experimental settings throughout the 1920s and 1930s, it wasn't until the 1950s when him and J. G. Holland began implementing programmed instruction at Harvard. As an educational technique, it is characterized by self-paced, self-administered instruction, which is presented in a logical sequence and with multiple content repetitions. Skinner argues that learning can be accomplished if the content is divided into small, incremental steps, and if learners get immediate feedback, reinforcement and reward. As a method, it can be applied through “teaching machines”, and with computer-assisted-instruction. The first is linear and it’s how Skinner’s teaching machines presented material. According to this model, the content is divided into a sequence of small and unchanged steps, where learners respond at their own pace and are immediately provided with the results. The second model is branching and was introduced by Norman Crowder. Based on this problem-solving model, students have to address a situation or a problem through a set of alternative answers. If they answer correctly, they move on to the next set. If their answer is wrong, they are detoured to remedial study, depending on their mistake. This process is repeated for each step throughout the entire program. Instructors are asking questions to confirm learners’ comprehension. The extent of understanding is reflected by the answers. Instructors are providing immediate feedback to learners. As soon as they know if the response was right or wrong, they proceed to the next question or they retest what was not understood. Learners should be examined on small chunks of information, something that will prevent them from failing a question. Learners should feel they are making progress, something that will encourage them. Each learner has his or her own pace. Instructors should respect this diversity and allow them to decide on the desirable speed of learning. The purpose of this model is to examine about whether learning was established, not if the program was good based on a specialist’s POV. Learners should be allowed to evaluate the instructional program under development and instructors should modify accordingly. Today, Programmed Instruction can be applied at virtually every educational level. It is typically best performed in smaller groups, wherein the students can get personalized attention from instructors, if they need further explanation about a particular topic. However, Programmed Learning currently seen and implemented at schools and wider learning environments has little to do with Skinner’s original concept.